ON Saturday 27 July the popular annual Claragh Bridge cross-community Vintage, Classic and Agricultural show will be celebrating its tenth anniversary. The event will be staged on the B175 Ballynahinch Road, Drumaroad outside Castlewellan, starting at 11am. Signposts leading to the show will be displayed from all directions from local main roads. 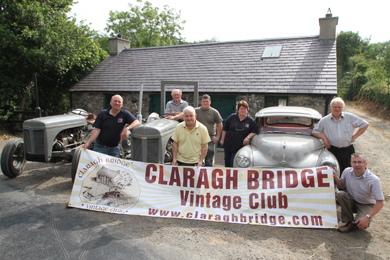 ON Saturday 27 July the popular annual Claragh Bridge cross-community Vintage, Classic and Agricultural show will be celebrating its tenth anniversary. Pictured are committee members Liam Quinn, chairman, Jim Savage, Frances Sloan, Matthew Sloan, Elizabeth Doyle, secretary, Bill Poland, and Councillor Patrick Clarke. Classes covering cars, tractors, stationery engines, commercials, motor cycles, buses, lorries, steam engines and various other types of agricultural machinery will be exhibited and entries can also be submitted on the day of the show. This year’s show will include an indoor crafts fayre and country market as well as various types of stalls, trade stands and car boot stalls. Drumaroad and Clanvaraghan Community Association will also be running a Community Zone with a series of events on throughout the afternoon. Liam Quinn, show chairman said: “This year there also will be men and ladies Tug ‘O’ War competitions’ , live music, free children’s entertainment with bouncy castle, bungee run and other competitions such as the brick lift, driving the nail, throwing the 56 and pitching the sheaf. Plus the traditional threshing of corn and a blacksmith’s display. “The Farm Families Health Checks one-stop mobile facility will also be offering free health assessments and advice for anyone at the show. County Down Rural Community Network will also have their mobile studio to discuss community and rural issues with visitors attending the show. The traditional Blacksmith’s shop will also be open, having been fully restored by its owner Walter Watson. Both inside and out will host a display of traditional blacksmith tools and farming machinery from early twentieth century. So come along and enjoy a great day out. Gates open 11am. “Drumaroad & Clanvaraghan Community Association will be hosting a Community Zone at the 10th annual ‘Claragh Bridge Show,” explained Liam Quinn. “The Community Zone has always been popular with visitors to the vintage show particularly with families and this year promises to be no exception. There will be a range of events for all ages. This year’s star attraction is the ‘Horsey Do Do Grid’ where you can win a cash prize by guessing which square our community zone horse will do its “do-do!” With a prize pot of £50 for guessing the correct square it’s a little bit of fun and entertainment for all. Throughout the day Coordinator of the MARA Project Nuala McElroy, will be on hand to give advice and guidance on maximising access to access to services grants and benefits in Rural Areas. “We will also be unveiling our recently created Community Ceramic Art Piece. Facilitated by DCCA and funded by Down Community Arts the art installation was designed earlier in the year by a number of local people – children and adults alike – from Kids Kabin, the Community Association and members of the Vintage Show Committee. “Popular children’s Entertainer Tommy Trickster from the USA will perform form 12.30-1.30pm and is surely not to be missed. There will also be a performance from the local Summer Scheme Drama Participants and the artwork created by the younger children will be on display all day. 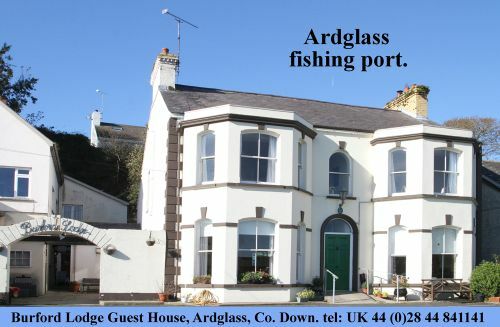 or log onto www.claraghbridge.com or check out Facebook and Twitter.